Confession: I hate cocktails. The better-for-you choices (the kind with only a few ingredients, one of which is ice cubes) are too strong for me, while the delicious-sounding ones might as well be milkshakes. To play it safe, I stick with red wine (polyphenols! antioxidants! ), but here’s another confession: Pinot often puts me to sleep. So I’ve been looking for a mixed drink with an ingredient list that I can stomach and was thrilled to find this recipe from Women’s Health. 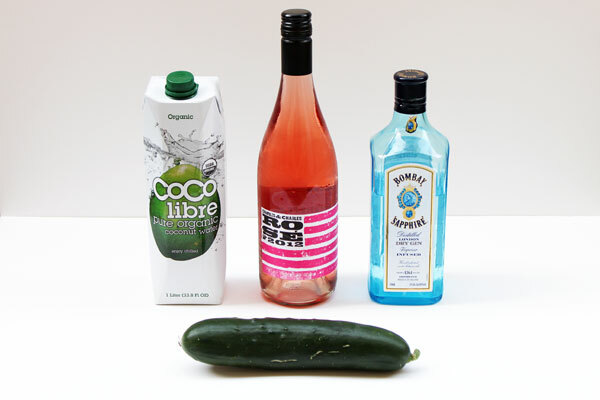 This perfect-for-spring drink consists of rosé, gin, cucumbers, and super hydrating coconut water, which totally maybe helps counteract any negative effects of booze. The verdict? It’s light and refreshing but not too girly—my husband sipped his without shame—and is totally changing my mind about cocktails. Can I really file this under Healthy Recipes? I'm probably pushing it, but for a cocktail, I think yes. Click over to Women’s Health for the recipe, and let me know if you try it! 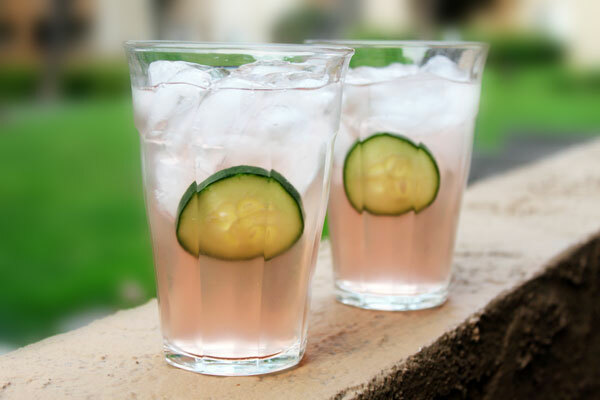 It has cucumber, that qualifies for healthy;)... I am definitely going to have to try this over the weekend! My thoughts exactly :) Definitely let me know if you try it!